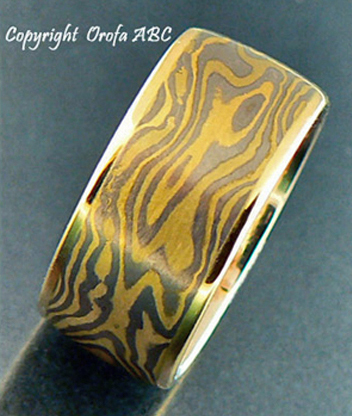 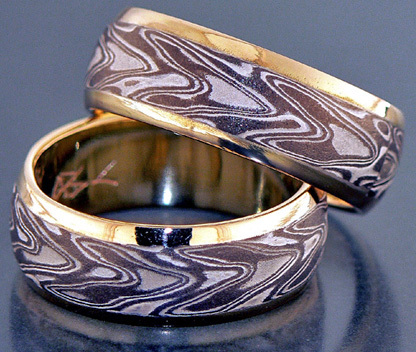 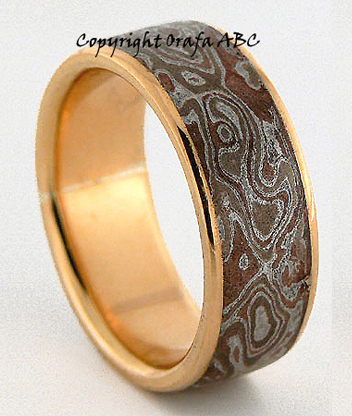 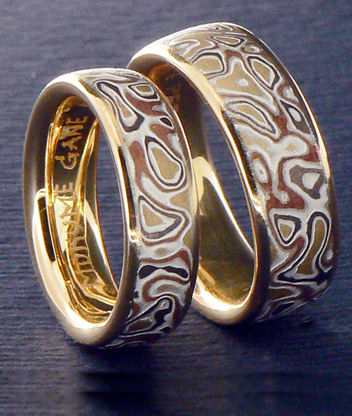 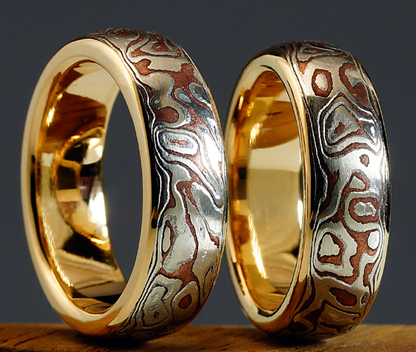 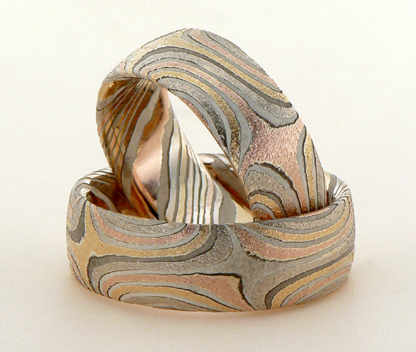 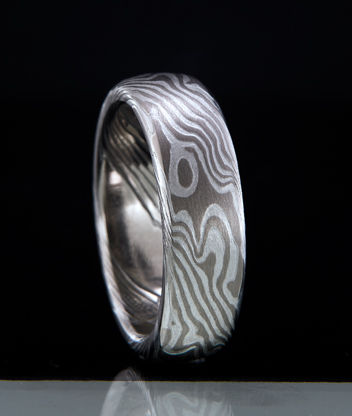 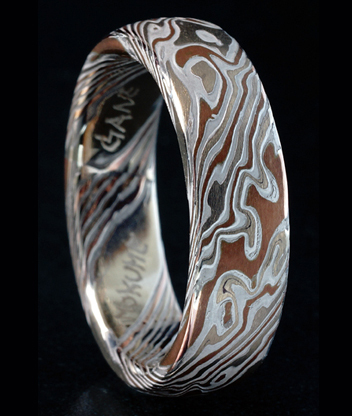 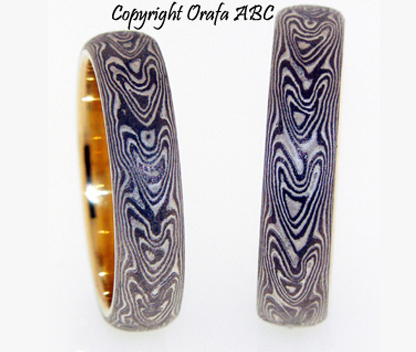 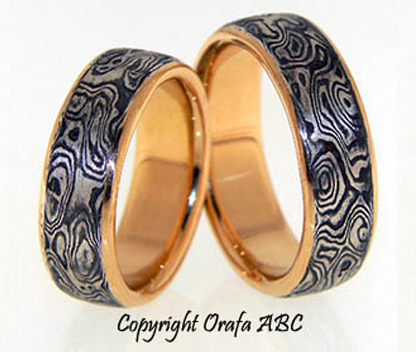 Mokume gane wedding ring in 4 colors, 18 kt. 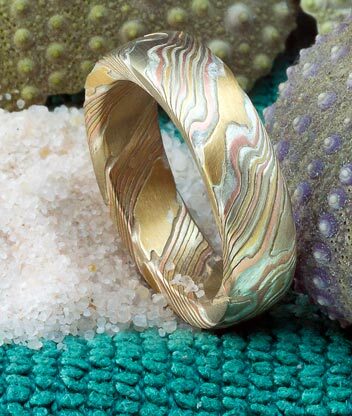 yellow gold, 14 kt. 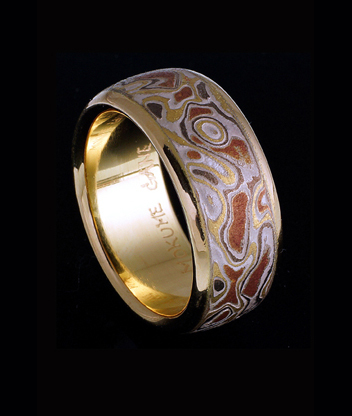 red gold, 14 kt. 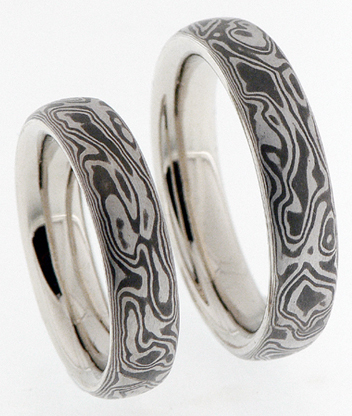 palladium white gold and 925 sterling silver. 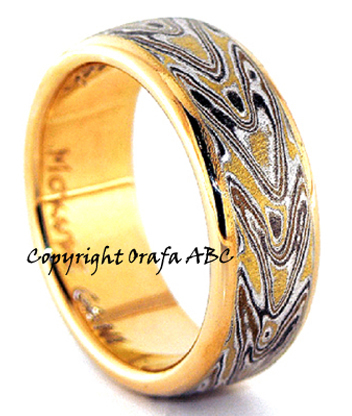 Embossed surface. 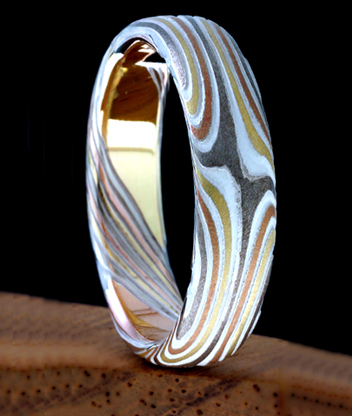 6 mm. 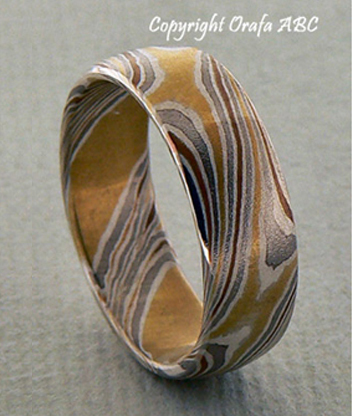 width, 2.1 mm thick. 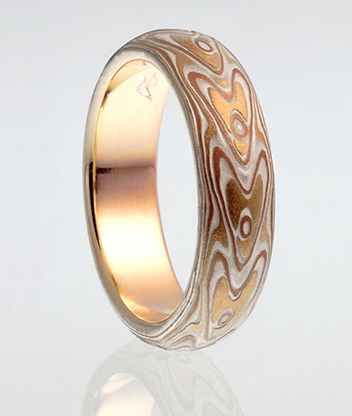 This ring is available in widths ranging from 4 mm. 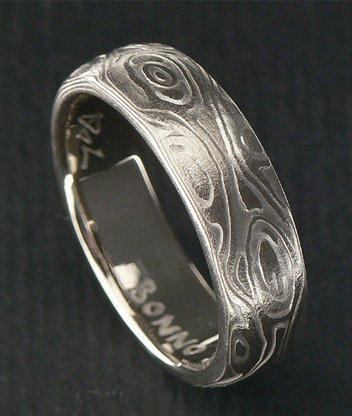 to 9 mm. 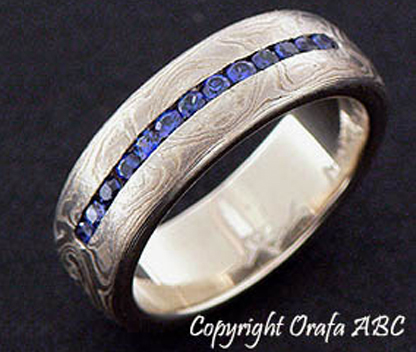 For more informations on this model or to request a specific quote please fill out the form below.